Apple News and Fundamentals: Onwards & Upwards! 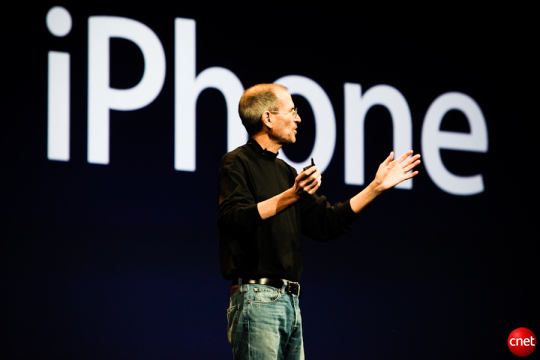 The WWDC was June 7-11, and the big announcement by CEO Steve Jobs was the iPhone 4. Jobs' keynote address and iPhone 4 launch can be viewed here. Some other announcements were the iAd going live in July and the launch of the Safari 5 web browser. The conference website is here. Apple Inc. achieved a milestone the week of May 24, 2010, passing Microsoft in market capitalization to become the largest technology company, and second overall largest company, in the USA. AAPL's market cap is now $230.68 billion, compared to Microsoft's of $224.88 billion. Exxon leads with $29.62 billion. Microsoft still leads Apple in total net profits. At the WWDC keynote address, CEO Steve Jobs gave some iPad numbers: a) 2 million sold, that's 1 every 3 seconds since April release, b) native apps 8,500 + 215,000 iPhone/iPod apps that work on iPad, c) app downloads 35 million or 17 per iPad, d) 5 million ebooks downloaded or 22% of the the market, and e) will be in 19 countries by the end of July. The iPad email breach via AT&T is reviewed here. Apple announced on May 31 that 2 million iPads had been sold in less than 60 days. Analysts stated the week of May 31 the iPad was sold out at many USA Apple stores. The iPad is now outselling Macs. The international launch was May 28 in 9 countries and the frenzy ensued. Apple launched the iPad in the USA, the Big Day, on Saturday, April 3. Reviews of the iPad have been favorable overall with 91% consumer satisfaction, and 1 in 5 USA consumers plan on buying an iPad. The App Store keeps adding iPad apps and the iBook store the same. Estimated 2010 sales of iPad now range from 6 million units to 10+ million units and it now appears the high side, or even higher, unit sales estimates are valid. It has been suggested that iPad sales might cut into iPhone sales some, but I don't believe this will have a material effect. However, recent data suggests the higher margin iPad is cutting into lower margin iPod sales. So far, no one has come out with a "second tablet" to truly compete with the iPad, although there is a Chinese knockoff, a European competitor, and the Dell Streak will launched soon. The iPhone 4 was launched on June 7 by Steve Jobs at the Apple Worldwide Developers Conference. Pre orders begin June 15 and release is June 24. Price is $199 for 16GB and $299 for 32GB. The iPhone web page is here. The Apple Hype began began on the iPhone 4 new features: video calling and chat, a dazzling retina display, multitasking, HD video, and even Netflix will be available in July! The related iPhone OS 4, now the iOS 4, was announced on Thursday, April 8 by CEO Steve Jobs. The iPhone continues incredible sales and market share. AT&T is extending upgrade eligibility requirements to get the iPhone 4 out to customers. The Q1 results for iPhone were outstanding and pump the profits into Apple Inc. Apple's share of global mobile Web browsing is at 67% from the iPhone and iPod Touch. Business customers are now 40% of iPhone sales per AT&T, which indicates AAPL is cutting into RIM Blackberry market share. Another battle is with the Google Android 2.2. Speculation is for a possible 3 million iPhone sales monthly, but this would require an additional USA carrier besides AT&T. The iPhone is now beginning to dominate the Japanese smartphone market. It's all about the apps for iPhone and iPad. Actually, it's all about mobile computing and Apple is right on the leading edge with the App Store. There are now countless apps for the iPhone (215,000+ and counting?) and an ever increasing number for iPad, plus the iBook store. CEO Steve Jobs introduced the new personalized, mobile advertising system, iAd on April 8. At the 2010 WWDC it was announced the iAd platform will go live in July. This will compete directly, and replace, Google's advertising platform. Apple is going into the mobile advertising business and will design and sell the mobile ads. While iPad and iPhone sales will positively impact Q2 earnings, the iAd platform may well have a significant impact in future quarters as this revenue stream comes online. Currently, the iPhone developers agreement excludes Google access, so we'll see how this is resolved. Q1 earnings were released on April 20 and AAPL beat on revenues, EPS, and outlook. Numerous analysts raised price targets to $300+ within 48 hours. With the Apple announcement on May 31 that 2 million iPads had been sold, the analysts again revised the iPad sales estimates and AAPL price targets. Every week one or more analysts raise the AAPL price target, all in the $300+ range. Q2 will include all iPad sales year to date, apparently some iPhone 4 sales, and should be another stellar quarter. More than 50% of Apples sales are outside the USA. In June, Apple has now sold 100 million devices since inception.